As time passed heavy metal became broken into many sub-genres, but conversely the New Wave of British Heavy Metal continues to grow in stature and regard. It is rightly seen as a time of innocence, where heavy metal was played for fun, for the love of the music, and where song-writing really mattered. But the metal magic in the air in the early 80s wasn’t only confined to Britain: with bands such as Killer, Belgium was producing quality heavy metal. Cherry Red have done a fine job in compiling this box set which features Killer’s four Mausoleum albums on four CDs. The sound quality is superb and there is an excellent booklet with notes by respected journalist Malcolm Dome. 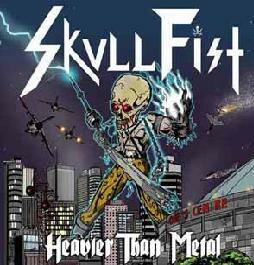 Killer were clearly inspired by Motorhead, Priest and the NWOBHM scene in general. There is a raw power and heaviness about their sound which makes me think that if they had switched to playing thrash metal, they would have had a greater degree of success. Though better players and song-writers than Metallica were at this point, Killer have a similar energy and attack to ‘Kill ‘Em All’ era Metallica. There are a plethora of bonus tracks, my favourite of which is ‘From Nine To Five’, an instrumental which cleverly combines Beethoven’s Ninth and Fifth symphonies, hence the witty title. 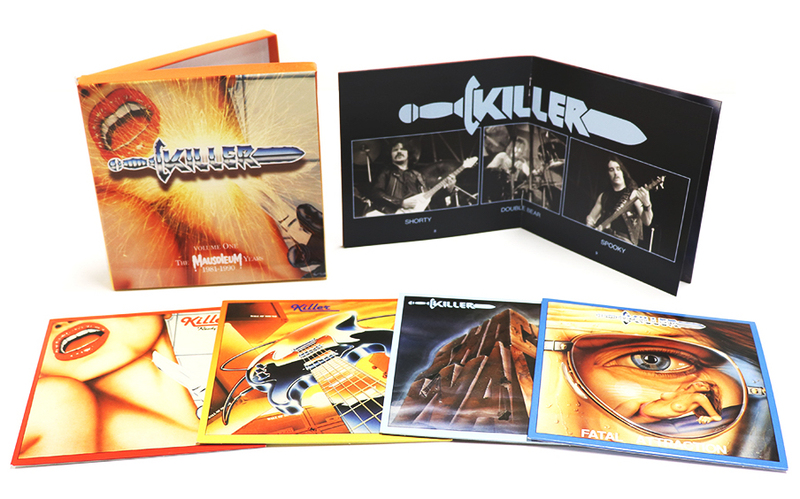 Killer are still going today, which is a good thing indeed, and they will pick up some new fans on the back of this fine box set. Essential for all fans of the NWOBHM, except in this case, ‘B’ is very deservedly for Belgium!